The Modern Health Myths – Can They Affect your Musical Career? Have you ever wondered why sometimes it is so hard to cope with everything a pianist is facing day by day? Extenuating practice, physical and intellectual exhaustion, insecurity, stress and performance anxiety, exams and contests – even beginners are familiar with at least some aspects of these difficult challenges. Or maybe you’re struggling for a long time to overcome a difficult passage or piece, working for five, six or even more hours per day without any progress? If you feel that you’re stuck in your practice and you’re constantly but ineffectively trying to find a solution, then maybe you’re not looking in the right direction! More often than not, the solution to our piano-related problems is not connected to the practice itself (this does not mean, however, that an incorrect, tensed, mechanical, technique-obsessed practice cannot be destructive!). Most of the time, we get stuck because of two other things, interconnected with each other and with our musical practice on a holistic level: our energy and our overall physical and emotional well-being. There are different factors that can gradually destroy our health, thus diminishing our natural energy levels and the ability to enjoy life in all its wonderful manifestations. The modern ‘health myths’, originating in the ‘fast-food’ mentality, which is a consequence of the accelerated rhythm of this century, have a dominating role among these factors. Before identifying and busting some of these myths, let’s talk a little bit more about the tight relationship between our piano career and our health. The ‘fast-food mentality’, our health and our musical practice. It’s not possible to have a fulfilled musical career without being healthy and having a harmonious life. In fact, we need an excellent health in order to be able to deal with all the difficulties a pianist is usually facing. Only a strong, healthy and positive person can withstand 4 to 8 hours of practice per day without negative consequences on his/her physical and emotional balance! That’s why it’s so important to compensate your piano practice with a healthy dynamic lifestyle. We all know that our modern world is far from being perfect. Things change extremely fast, and most of the time we have only hours or seconds to adjust to the new realities. In these complicated circumstances, many health myths have emerged, myths that resonate with the contemporary accelerated rhythm of life. But you know what – the fact that technologies advanced doesn’t mean that the human body changed much. In fact, we have the same necessities and the same processes as thousands of years ago. If we lose awareness of these objective needs, we risk losing everything – our health, fulfillment, peace of mind and professional career. There are many wonderful natural ways of recharging our batteries, of improving our health and preventing diseases instead of ‘treating’ them. Unfortunately, our constant hurry is forcing us many times to ignore the natural order of things: we want to achieve everything as fast as possible without investing effort and dedication. We eat fast-food, we drink soluble coffee and we want instant success in our profession. However, we all know that if we want a true success, we have to be patient. Only a naïve person could hope to play like Richter without spending many years practicing piano, without constantly learning new things, without bringing his awareness and the depth of his musical understanding to new levels. The same can be said about our health. Swallowing a couple of pills will not make you healthy and happy. Symptomatic medicine deceives our perception by masking unpleasant manifestations like headaches, joint pains, stomachaches and so on. As a result we think that we got ‘cured’, we become lazy and we stop searching for the real cause of our dysfunctions. Diseases don’t show up out of the blue. They are a necessary sign, a warning that we’re doing something wrong, that we have a certain imbalance in our body. Drugs hide these warnings, leaving us unaware of those things that need to be changed. After years of playing hide-and-seek with our symptoms, we reach a certain point where everything hurts and drugs can’t help anymore. Then, instead of looking for the real solutions, instead of analyzing and transforming our thoughts, our actions, our lifestyle, we succumb to apathy, blaming everything and everybody for our failures, when it’s perfectly obvious that there’s only one true responsible: ourselves. Musicians are not immune to this modern ‘health degeneration’ stereotype. They are even more exposed to different risk factors due to their static way of life and the never-ending stress. That’s why it’s so important to learn how to protect your health in a balanced, natural way. You know what the ancients used to say: Men sana in corpora sano – ‘A healthy mind in a healthy body’. For professional musicians, this quote is especially significant. Developing your pianistic skills exclusively and forgetting about all the other aspects of your health can be devastating – you can reach a certain point when you’re so tired and bored that you don’t want to do anything anymore. This is the main negative consequence of a unilateral lifestyle. Now let’s do some myth-busting and see how exactly they are affecting our health and our life. 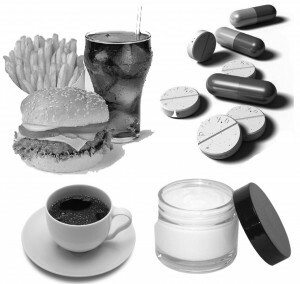 A few modern health myths and their destructive effects. 1. Myth: If you have a low blood-pressure, why bother exercising? Just drink strong coffee or tea, it will surely ‘energize’ you! The reality: Profit for the manufacturing companies, toxins and further exhaustion for you. 2. Myth: If you have a stomach problem, don’t bother analyzing what you eat, just take these antacids and you’ll be like new! The reality: Same as above – profit for the pharmaceutical companies and chronic gastroenterological problems for you! 3. Myth: If you have intracranial hypertension, why spending more time outdoors and learning how to relax? Just take these pills and it will go away! The reality is simple: the problem never goes away only with medication, it only gets worse in time. 4. Myth: If you lack energy and feel tired all the time, why make extra effort and start jogging or practicing yoga? You just need more ‘protein’, it will give you all the necessary strength, so eat more meat! Or even worse – an energy drink per day and you’re cool! The reality is different: meat is a controversial product. Some people say that one cannot survive without it and the ‘proteins’ it provides. However, more and more researchers are proving that this traditional theory is entirely wrong. Meat and meat by-products, especially when combined with white bread and potatoes, are only poisoning your body with toxins. Even if you feel ‘energized’ and happy for a couple of hours after such a combined meal, on the long run it is slowly killing you. If you can’t give up on meat yet, try to avoid fried meat and don’t combine it with carbohydrates! Meat goes well only with fruit and vegetables! 5. Myth: If you have a bad skin color, acne or premature wrinkles, don’t bother detoxifying your body and eating natural products. These creams and lotions will do all the work for you! And which is the reality? Of course, every woman needs a hydrating quality cream and other cosmetic products. We cannot survive in our modern competitive world without the aesthetic benefits of cosmetics. However, if we don’t combine these artificial enhancements with a healthy diet and an active lifestyle, the creams won’t be able to help us! Beauty comes from the inside first – being a reflection of our state of mind and our health. 6. Myth: If you have extra weight, why exercising and giving up on sugar, meat, bread and other detrimental things? Just take these wonder pills for weight loss, they’ll do the entire job while you can eat your burger, followed by your favorite chocolate cake and watch TV all evening! The reality? Most of the time, these pills will do just one thing: they will have a detrimental effect on your health. There is no way you can look like a top-model and eat junk food in uncontrolled quantities! 7. And now, a suggestive piano-related myth: if you’re experiencing muscle pain and you’re struggling to overcome a hand injury, why bother learning how to improve your posture and play correctly, with relaxed hands and wrists? Just wear this bandage for a few days and you’ll feel better! The reality: the tight bandage will only worsen the blood circulation in your hands, slowing down the healing process. When you return to your incorrect tensed piano practice, the pain will follow you like a shadow! Of course, these are just a few examples and the list of myths can go on. I agree with you – it’s easy to demystify and describe them. But is it easy to fight them and not allow them to dominate your life? Of course not. It’s hard, but not impossible. You should be aware that all these phenomena are taking away from us our freedom of choice and our dignity, transforming us in obedient elements of the system. However, people who dedicate their life to art – especially musicians – should find their inspiration outside the box, outside the boundaries of stereotypes. If you want to be a real musician, have a successful professional life and a good health, the first thing you should do is start thinking for yourself. We live in a world of stereotypes and ready-made solutions. So many people are too ‘busy’ for analyzing their life and the consequences of their actions! We accept blindly someone else’s ‘life recipes’ and let ourselves be manipulated by advertisements, by the political show and, of course, by the ‘health myths’ promoted by traditional medicine so that somebody could make millions on our behalf. Don’t allow yourself to go with the flow! Try to make a difference – if not for the entire world, at least for yourself and your loved ones! How do you think – did Bach, Mozart, Chopin or Rachmaninoff follow somebody else’s stereotypes? Did they create history by accepting false rules? Did they revolutionize the compositional and interpretative techniques by obeying their ‘academical’ professors? Even if this post may seem rather ‘distant’ from the piano theme, my own experience convinced me so many times how important is for a musician to take good care of his/her health and well-being! All the things I wrote above are the result of many years of struggling and trying to understand the complicated mechanisms of piano performance. I had wonderful teachers, but nobody ever told me that without a holistic approach on piano practice (consisting of combined advice on health, attitude and musical performance) we cannot go too far and conquer new peaks. I wish I could’ve read this article 15 years ago! 🙂 That’s why I’m writing it now – hoping that it will make a difference for you and save you precious time, effort, health – and allow you to really enjoy your musical experience! Thanks so much for writing the article..now i can take a deep breathe after playing for nearly eight years now …starting at 6:45 in the evening ..15 minutes break for evry set of 45 minutes.. dinner at 9;30 PM and wrapping it up at 10;45 pm then there’s the lunch time gig on weekends at 12;noon to 3:00 pm…and i’m on my eight year performing non stop…sometimes i think about what’s gonna happen next..scared of my health deteriorating due to wxcessive piano playing..now i’ve read your article ..ifeel revitalize a bit..i think i’ll be reading it back all over and over again..thanks again.. Indeed, many times we are so absorbed by our playing that we tend to forget to compensate it somehow with dynamic activities and, of course, with rest. I’m glad that my article was helpful! about Russian piano school and piano playing in general are finally being busted; I spent many years trying to find a suitable piano teacher, some sort of guru, but it seems to me that most of them are reactive only to children and esp. small children (up to 8-9 yrs old) or some rich kids. So basically I’ve never managed to understand what was the key to find a true “piano guru”. Luckily nowadays we have the internet; I wanted to thank you for your hard work keeping this site going!!!! Cheers! Yes, I created this website so that everyone (regardless of age or country) could have access to the secrets of the Russian piano school and my holistic approach to piano playing :). I’m so happy that you found my tutorials helpful! By the way, what you see here, on PianoCareer.com, is only the top of the icerberg! 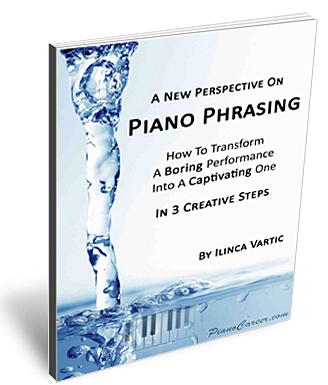 I have recently launched an unique Piano Coaching Program (at PianoCareerAcademy.com) where you can find LOTS of exclusive written and video tutorials. Plus, on the Private Members Forum I give detailed, personalized answers to all the piano questions posted by my online students. You can click here to read more about this project. Enjoy you practice and have a fabulous day! The holistic approach is the best when it comes to piano playing.Playing with a relaxed mind is a new thing.I learned a lot from your blog.Taking care of our health is the main thing.congratulations for your work.